Most people say that Ireland’s weather is unpredictable so you’d better pack accordingly. While that is true, we have to say that extreme weather is quite rare in Ireland. The most you’ll have to endure is going from warm weather to cold(er) and being forced to have a raincoat with you at all times. What does extreme weather mean for Ireland? Well, mostly big storms and flooding, but these events are rare so you shouldn’t worry. But, if you are unlucky to visit Ireland and get hit by a storm, take all the necessary actions, and ensure your safety. In this Bitesize Irish Gaelic Podcast re-run, we’re talking to Robert Todd who had the “pleasure” to visit the west coast of Ireland while the country got hit with a storm. He didn’t let it ruin his Irish vacation. 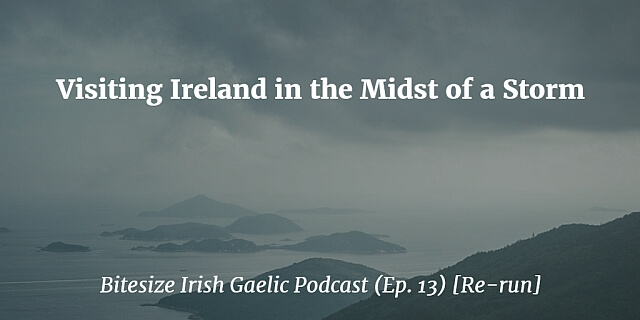 Listen to the rebroadcast of the 13th Bitesize Podcast episode, in the English language, and learn more about travelling to Ireland, extreme weather, and exploring Dublin. 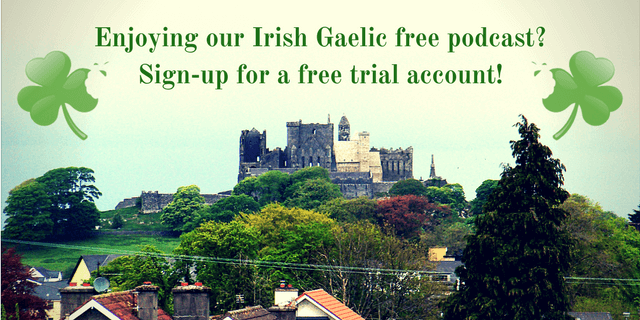 Robert also shares his experience of talking Irish with cab drivers, bus drivers and others.